The Final Four is set and familiarity abounds. Of course, it makes sense that ACC foes North Carolina and Syracuse are familiar with each other, but the other National Semifinal match-up will also be a rematch. Villanova and Oklahoma played each other during the non conference portions of their schedules in early December and the result was far from kind to the Wildcats. Oklahoma dominated Villanova, winning the neutral court contest in Hawaii, 78-55. The Sooners were paced by five players in double figures, led by Isaiah Cousins’ 19 points, 10 assists and 6 rebounds, along with Buddy Hield’s 18 points. Meanwhile, the Wildcats shot 32% from the field, including a putrid 4-32 from beyond the three-point stripe. That result doesn't seem to bode well for Villanova. However, both coaches downplayed its significance. 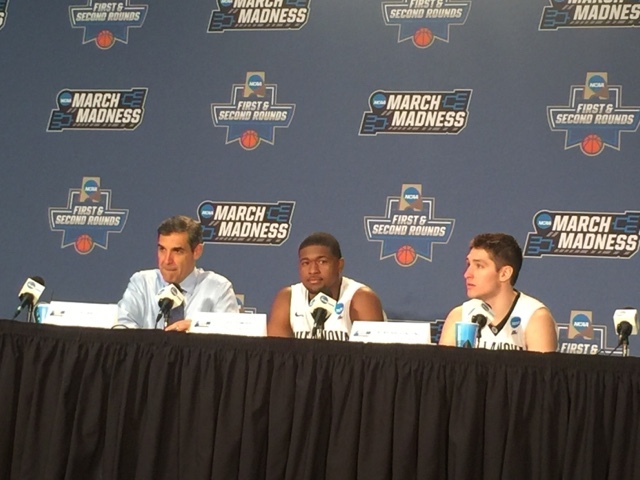 Villanova coach Jay Wright elaborated a bit more. It’s clear Wright believes his team is much better equipped this time around. We’ll see which team is playing at a championship level on Saturday.